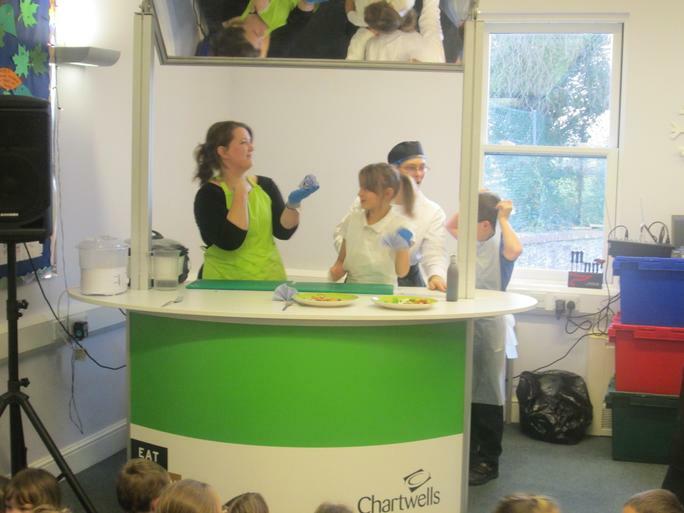 Today we had our exciting Chartwells Cook Off! 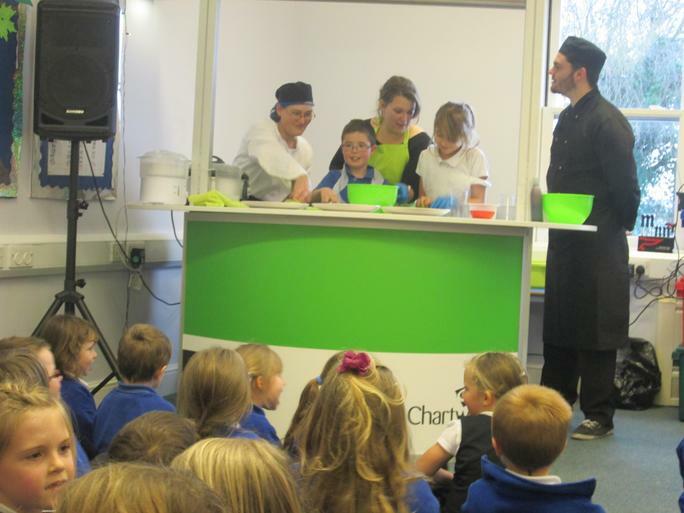 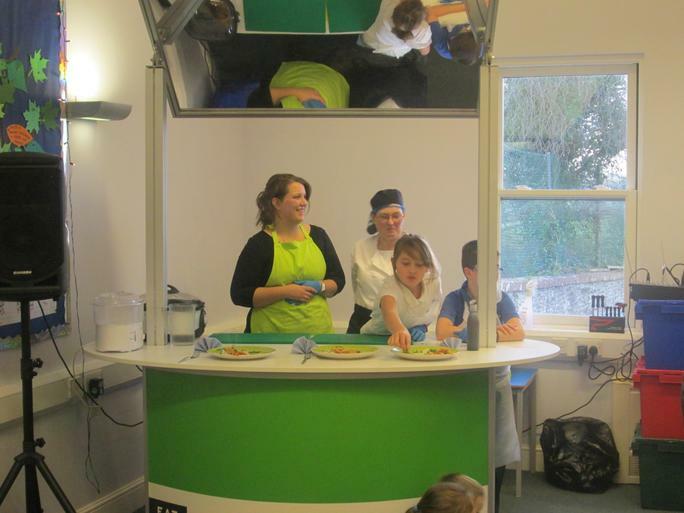 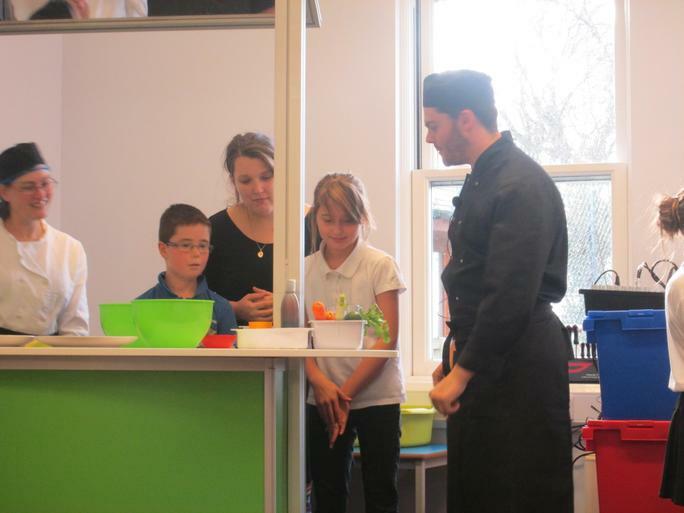 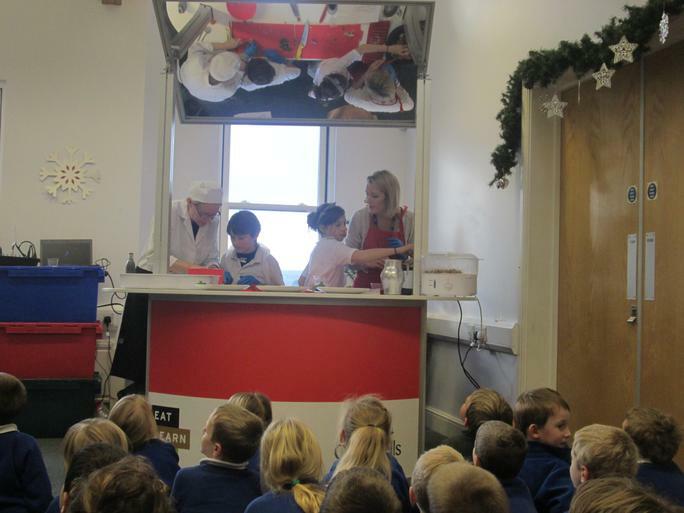 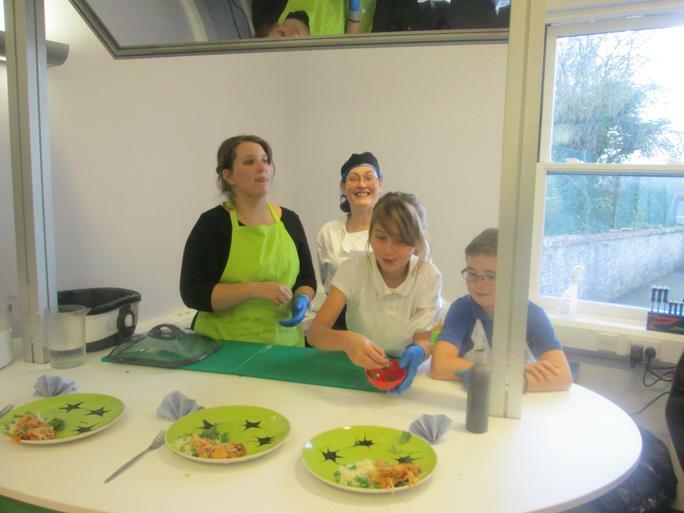 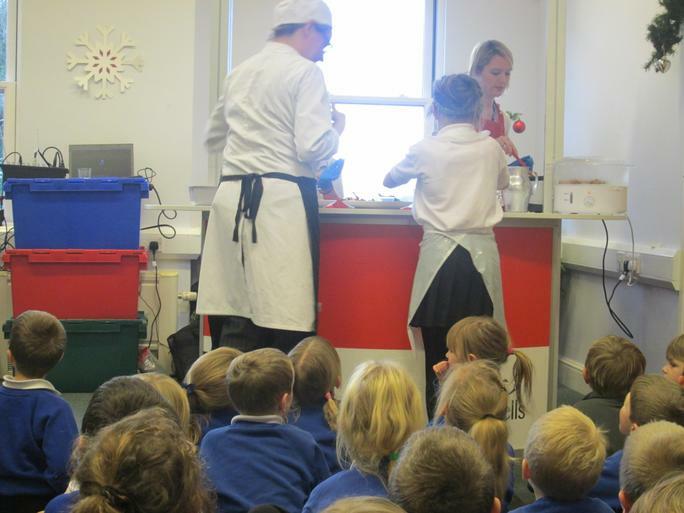 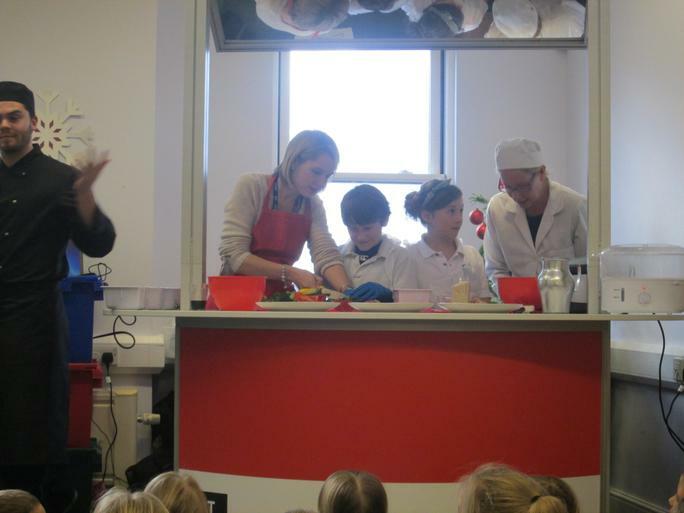 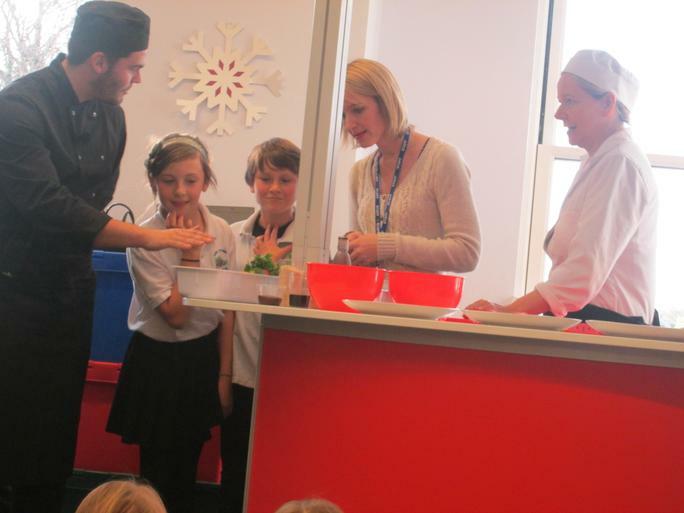 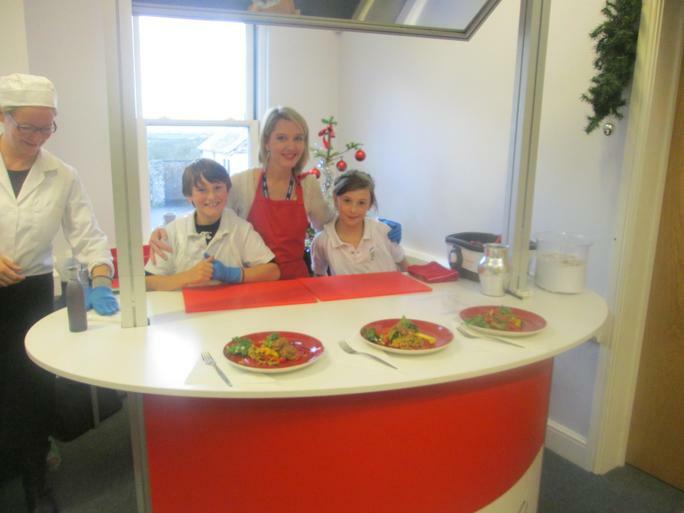 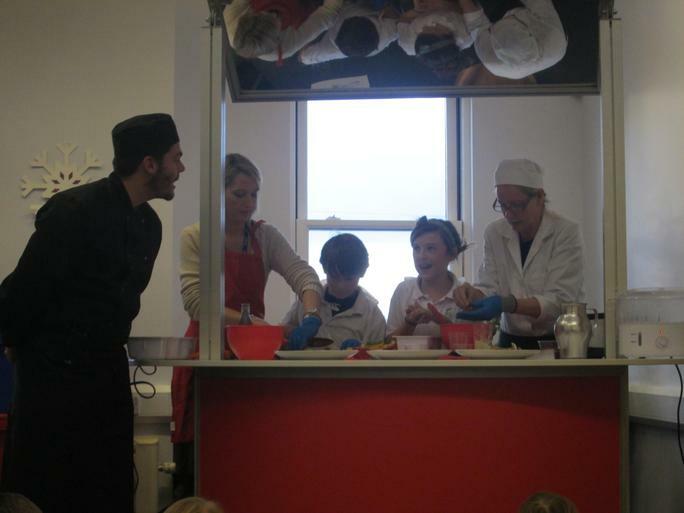 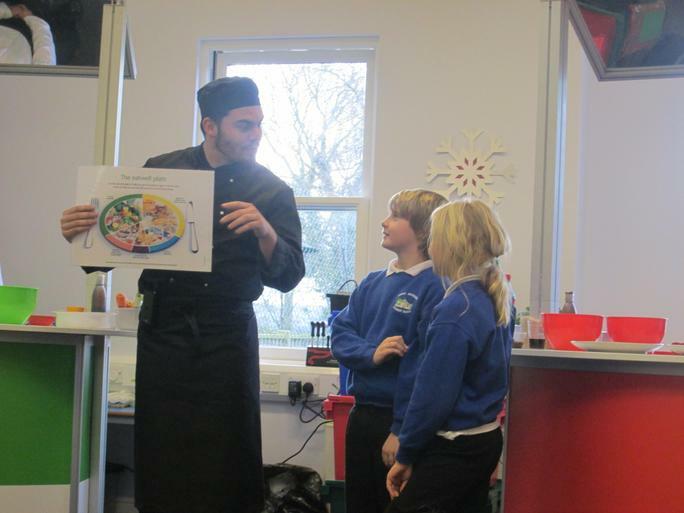 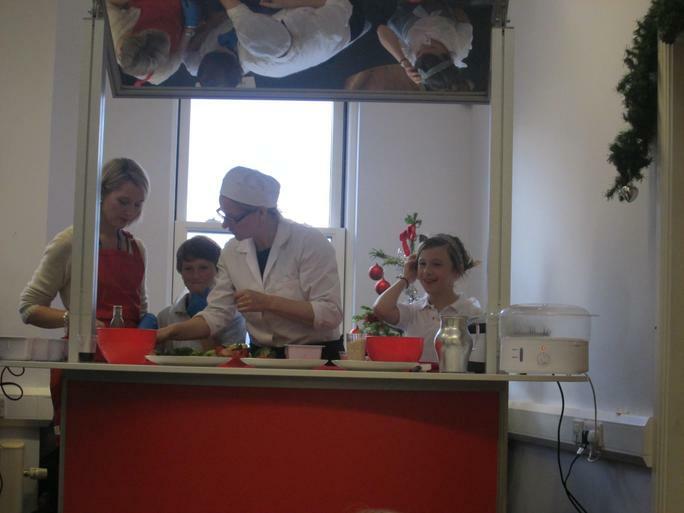 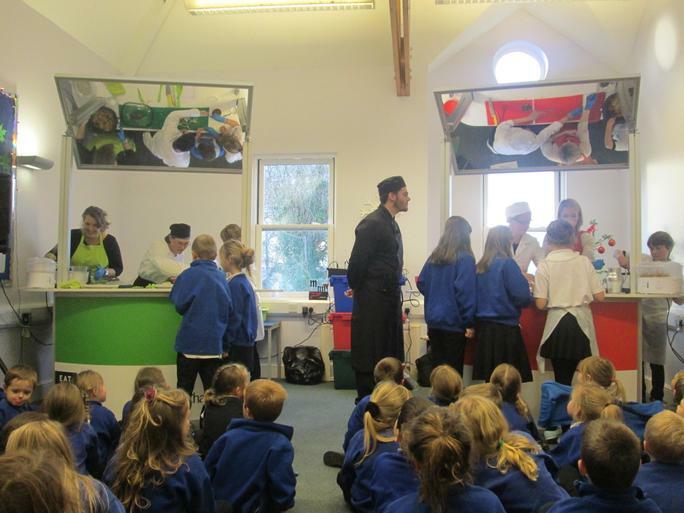 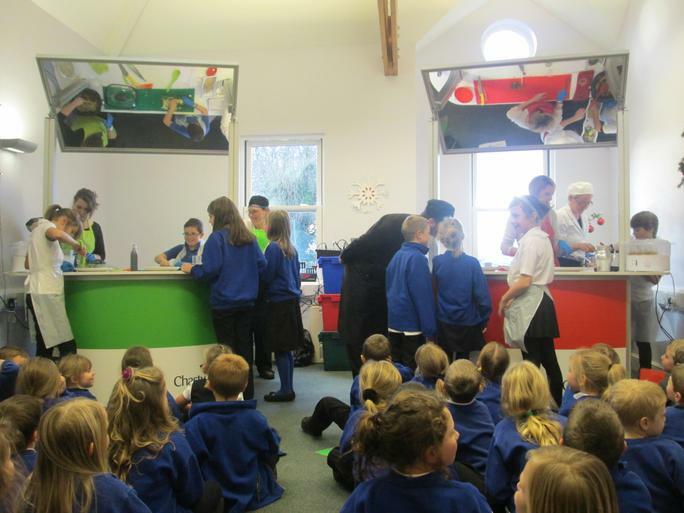 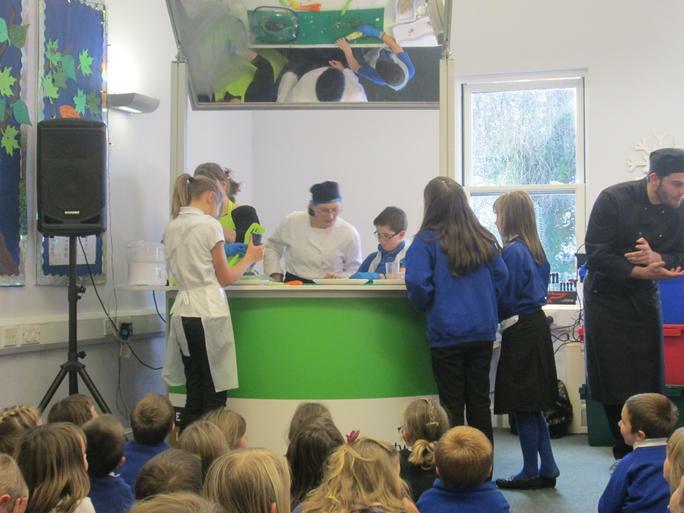 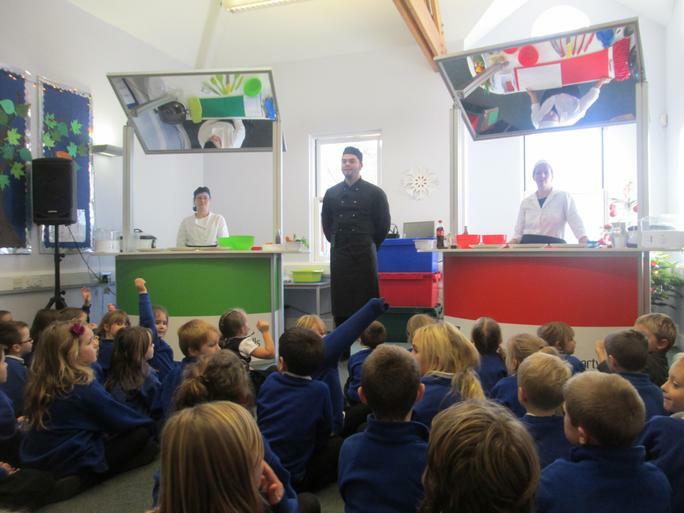 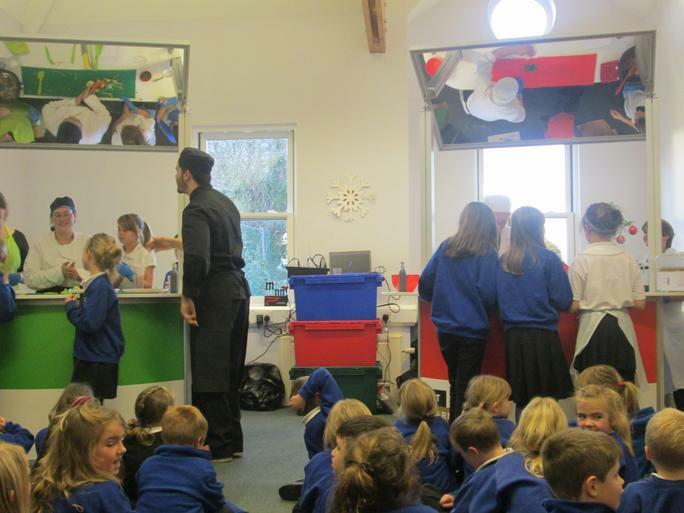 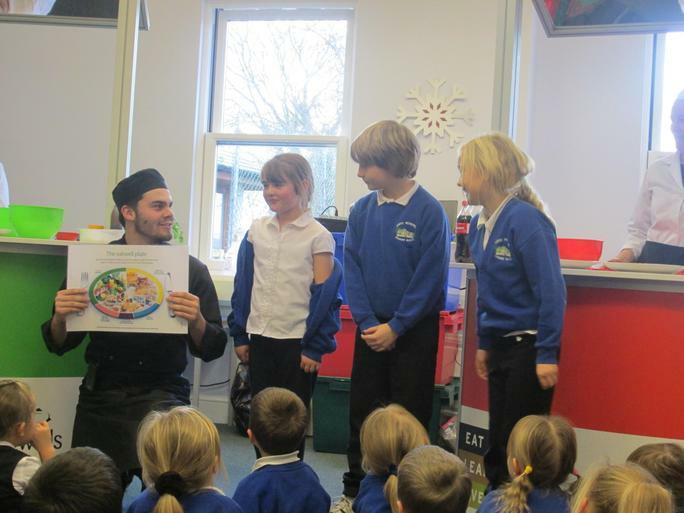 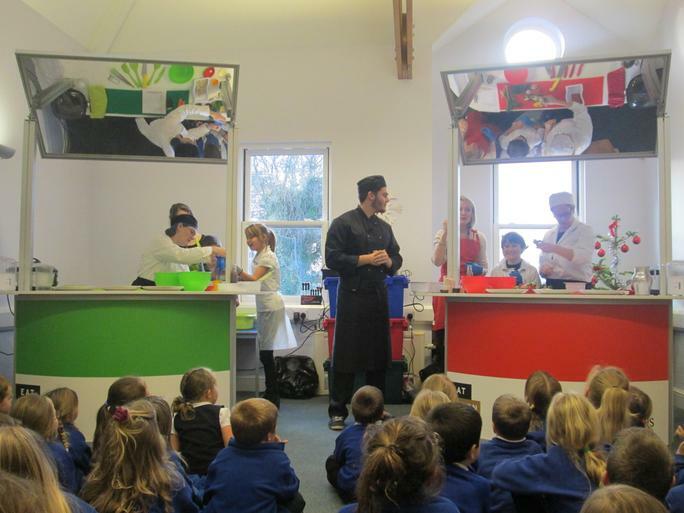 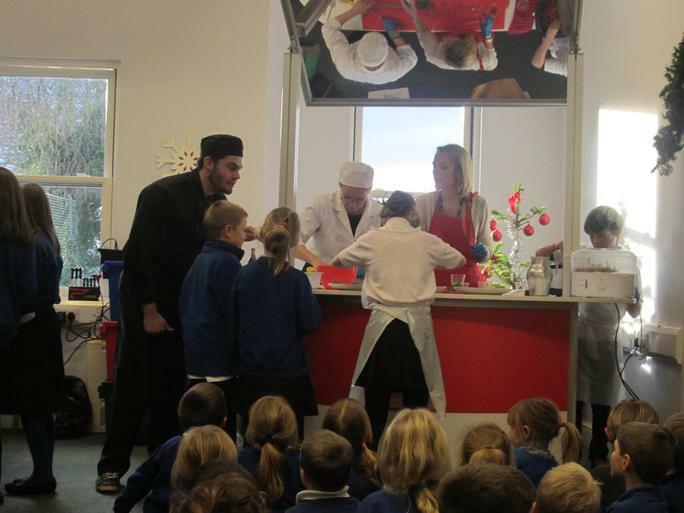 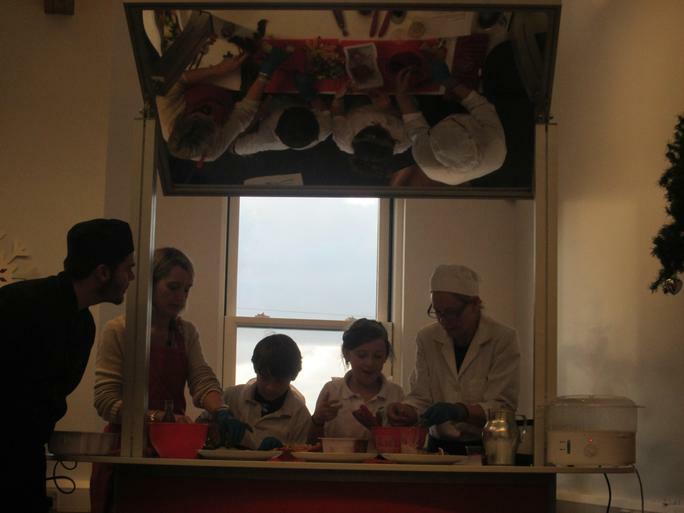 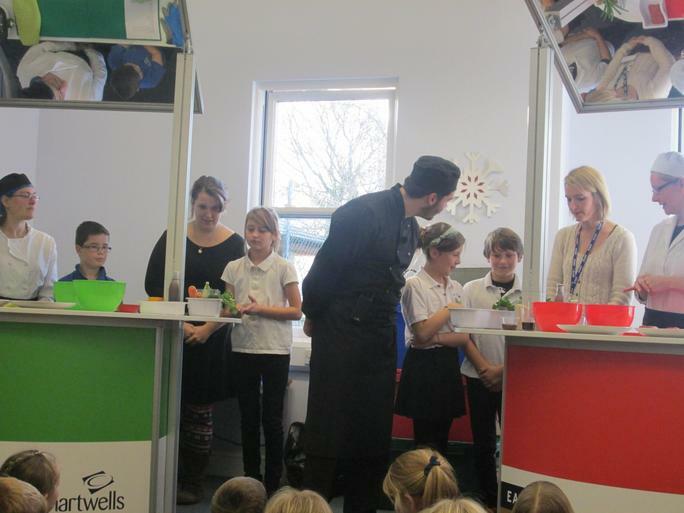 Two teams led by Mrs Hussey and Mrs Godwin were challenged to cook a healthy meal in 15 minutes. 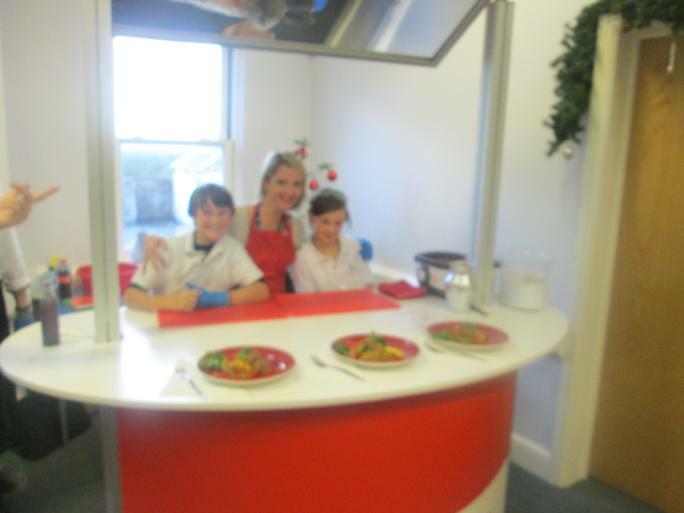 Mrs Hussey with Ollie and Naomi cooked meat patties with stir fry and Mrs Godwin with Georgia and Tom cooked a Quorn sweet and sour stir fry. 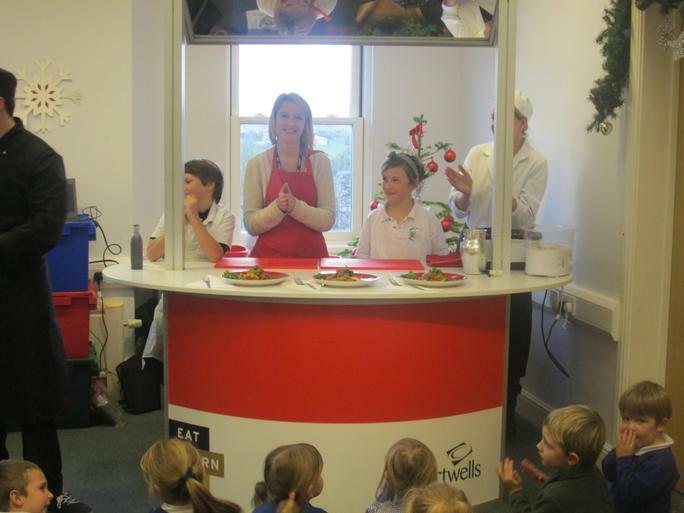 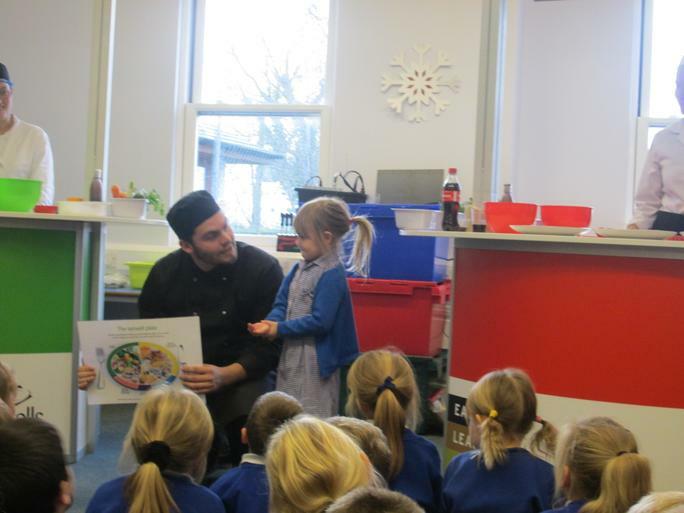 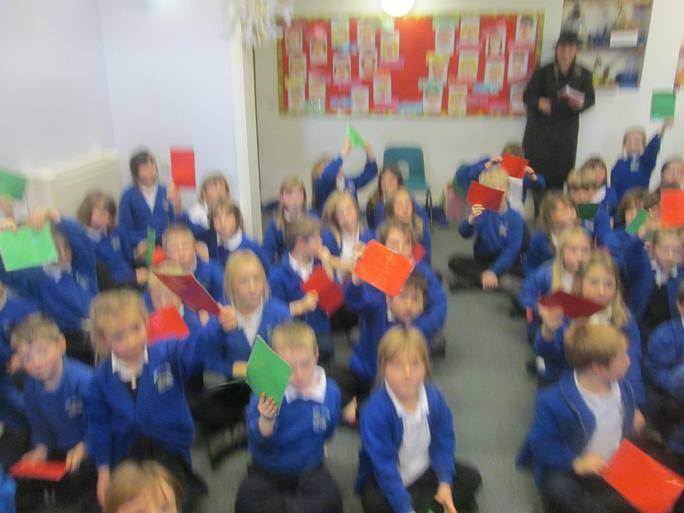 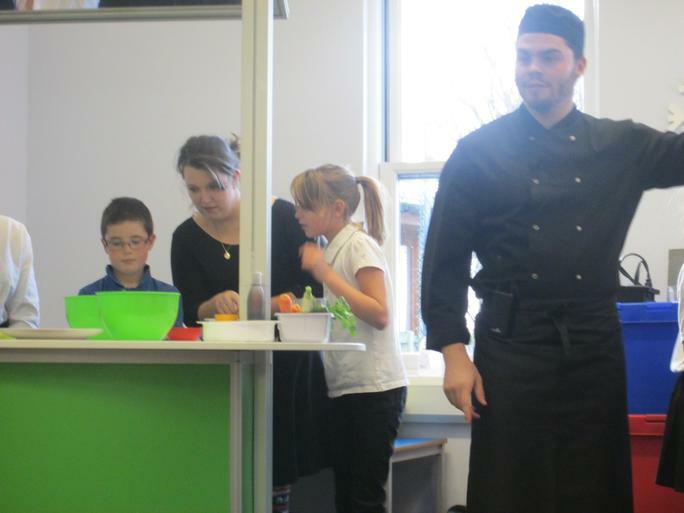 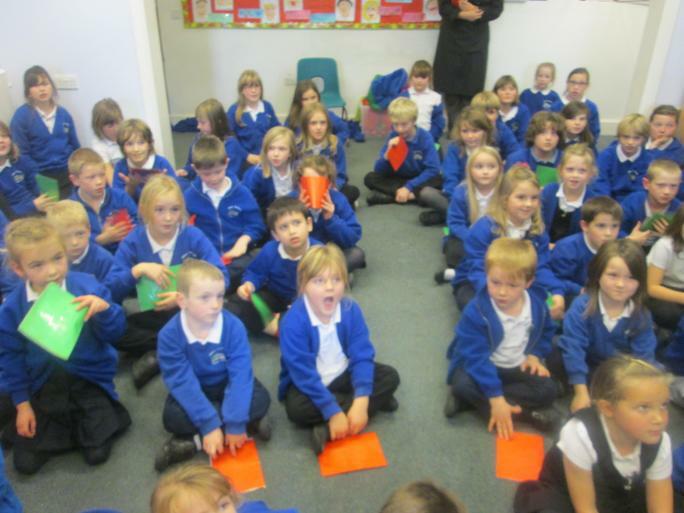 While we cooked we were judged by the rest of the children who were also learning all about healthy eating. 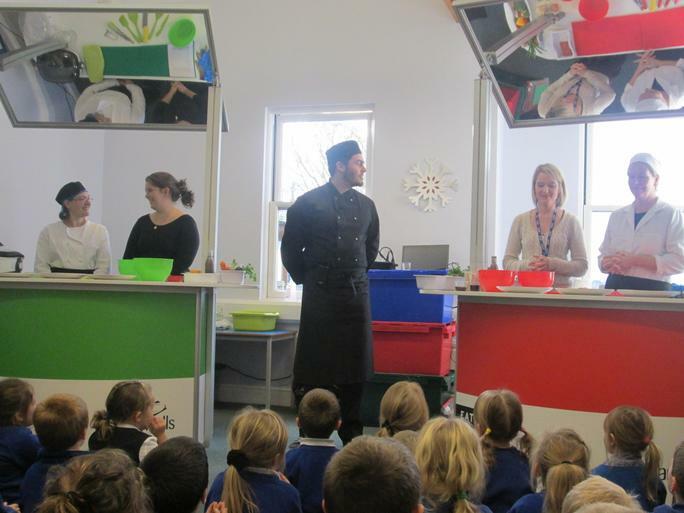 At the end of the cook off the children voted to choose a winning team. 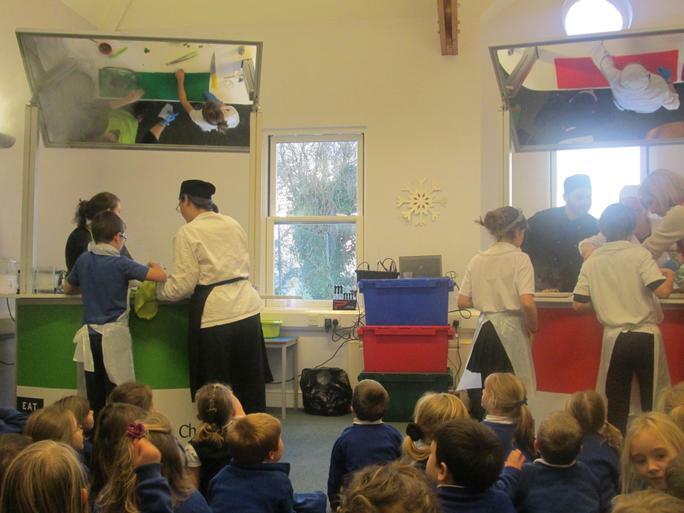 Mrs Hussey's team won by a narrow margin but both meals were really delicious and everyone had a fun afternoon.